The dining room at the Midwestern. the sampler platter complete with three ribs, two wings, a quarter-pound each of smoked turkey breast, pulled pork, brisket and pastrami, as well as two sides and cornbread. the Mann Burger: the massive, peppery Fork Steak and brisket. ceviche and tostones for starters. aji de gallina, a Peruvian chicken and rice dish. spicy cauliflower with harissa aioli and skin-on natural French fries. cocktails: Chai-huahua, Homeward Bound and Snoop Dog. rice bowls, tacos and nachos. The term was new to Marsh and understandably so, with St. Louis’ first such cider-focused brewery opening just about a week ago. 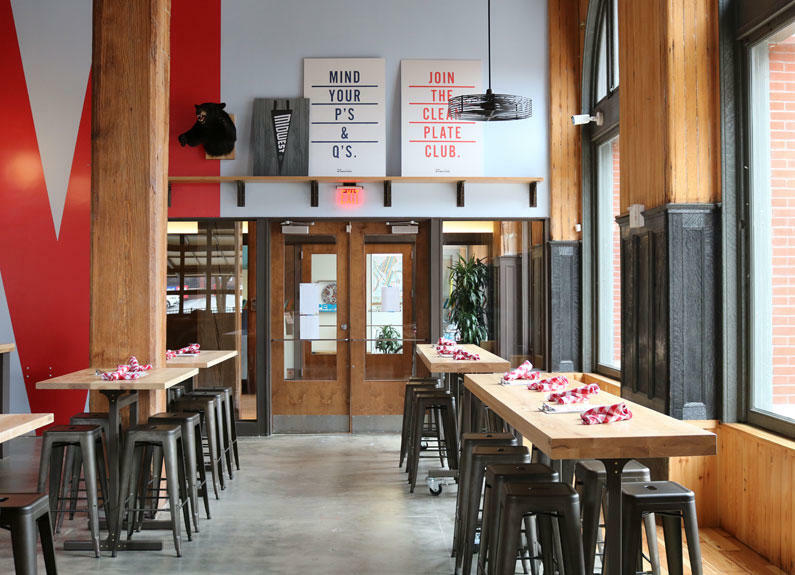 Located in a former firehouse on Washington Avenue, Brick River Cider Co. was the first of four new, must-try restaurants that Catherine Klene and Matt Sorrell plugged during the discussion.